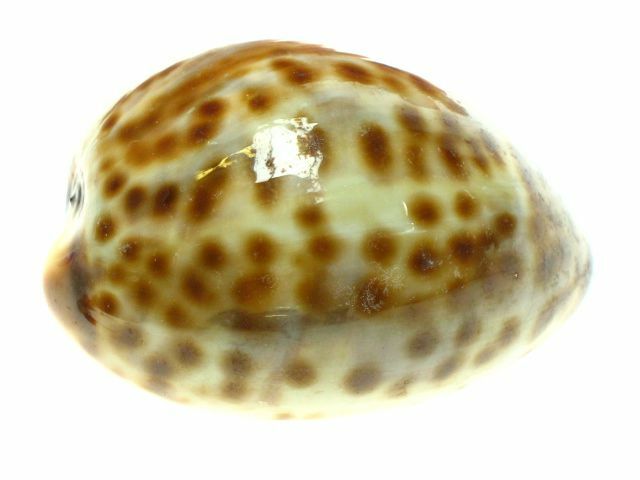 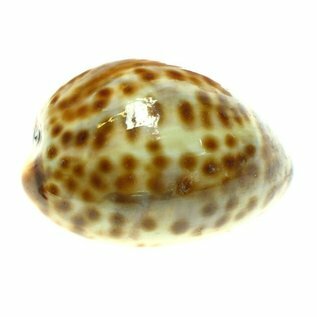 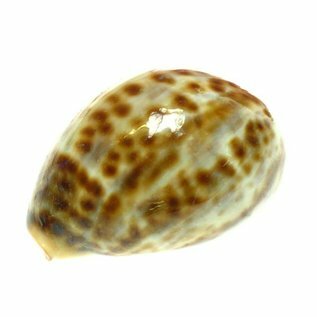 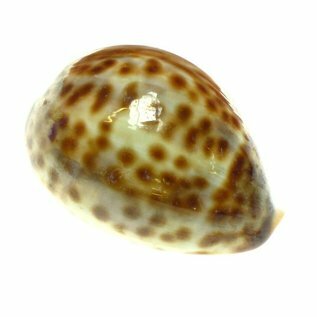 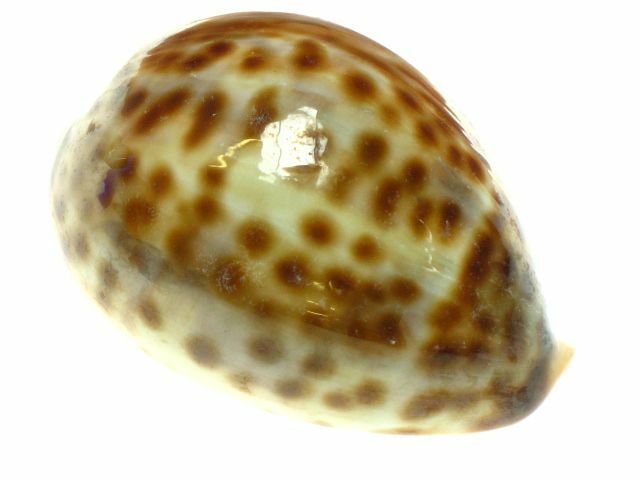 This polished baby Tiger Cowrie eerily mocks the skin of a land Tiger with its spotted pattern. 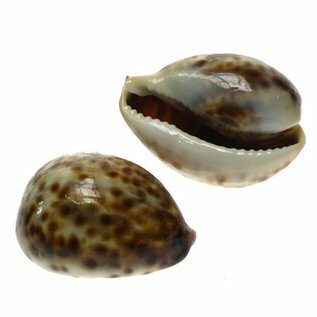 On the other side there is no doubt that the iconic shape is representative of a Cowrie. 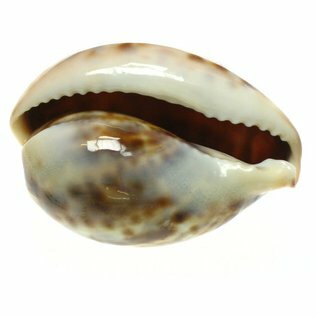 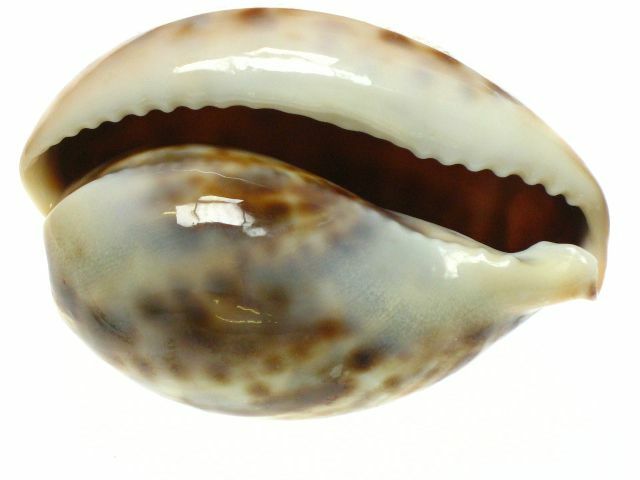 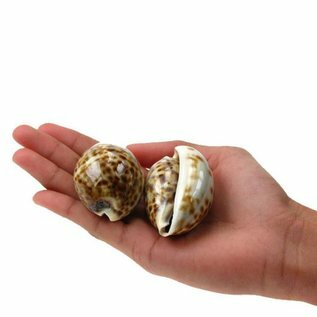 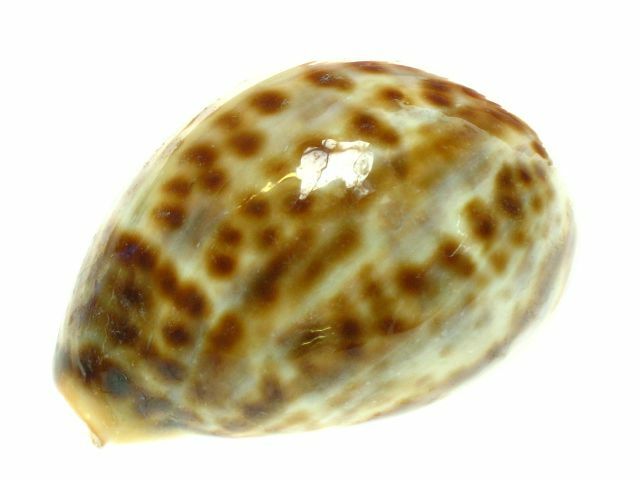 Cowries are from the Cypraeidae family.